Will Jordan: The Hitler bit that I would do... I never did it much in clubs because it was considered in bad taste. 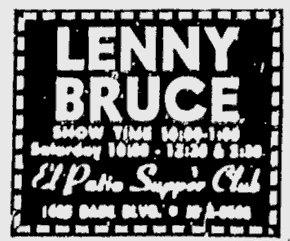 But getting up between shows with Lenny Bruce - he just loved it. Of course, he was a big fan and he would say, "You and Buddy Hackett are the two greatest talents in the world." I would say, " Well, the public doesn't think I'm as great as Buddy Hackett." But we had a great rapport and everything. He was becoming more political. Originally he wasn't political at all. He was strictly [doing bits about] movies. For instance, he stole a bit I did on Sabu. How do I know that? Because no one ever thought of imitating Sabu. It never occurred to anyone but me. Again, it was funny because of the phonetics. It wasn't an India accent. It was Sabu spoken differently and it was just great for me to get funny with that. And Lenny stole that too. Then when I told Mel Brooks, who was a good friend, he said, "That's terrible. Why would Lenny steal from you?" Why indeed? So I told it to him and - unbelievable! He steals it! Not the entire routine. Lenny only stole three-quarters of it. He left out the ending. At the end of the bit Hitler goes out and does Jolson. That was the original ending. Mel stole the gist, which was casting for a dictator. To me that is the essence of the bit. Even though he didn't steal the whole bit, that was the essence. 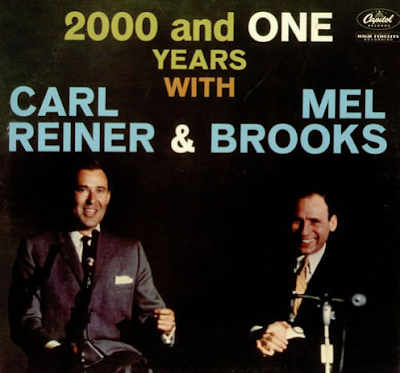 Kliph Nesteroff: Did you ever talk to Mel Brooks about this? Will Jordan: Yes and as a matter of fact, it is in several books. He called me up and said, "I didn't steal your life." I said, "I didn't say you stole my life! You stole that bit from me!" Then I told him a story which he ignored. Orson Welles confronted Chaplin about the movie Monsieur Verdoux. He said, "I gave you that idea. Don't you remember?" Then all the prints of Monsieur Verdoux that came out later said, "From an idea by Orson Welles." I said to Mel, "That's what you should do for me." Springtime for Hitler. Not for The Producers. The Producers he stole from a bunch of other movies, primarily a picture called New Faces of 1937. Word for word the dialogue between Jerome Cowan and Parkyakarkas. That's the father of Albert Brooks. That scene was copied almost word for word in The Producers. Although one website said that they both stole it from a Broadway show that I have never heard of that goes way, way back called Shoestring. Apparently that's where the plot of getting a lot of money for a play and then making it a flop so you can keep the money comes from. It was mostly stolen. Everything Mel did was stolen. And I still think he is a bonafide genius. He's just a thief. Twelve Chairs was done several times before and the satires on the movies... I still think he's a genius though. 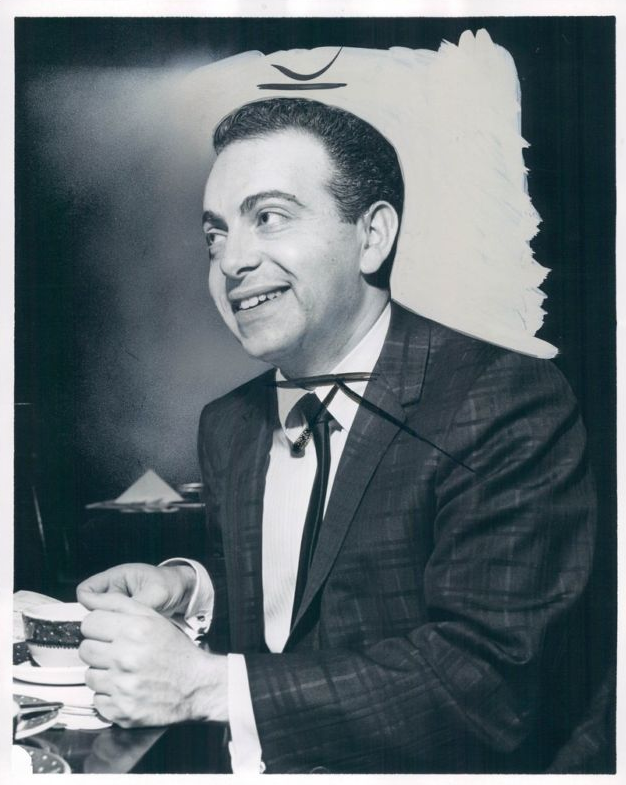 Why would people like Mel Brooks and Jackie Mason and Jack Carter steal from me? The terrible part is I'm Jewish and these guys are Jewish. And what really makes it terrible, I think, is that they're all personal friends - including Rich Little who is not Jewish. The people that hurt me the most were not only my fellow Jews, but personal friends. It can make one a little bitter. For some reason I stopped creating. I still functioned. I made money. I did this General Patton routine, which was really a bunch of Friar's jokes - very successful and I did my impressions and everything was fine. But the creative spark was greatly dimmed. I would stand in front of Hanson's Drugstore and create bits. Comedians would stand outside on the street. Behind the Wintergarden Theater - 50th and Broadway - and I'd just go on and on and on. They weren't all impressions, but they were all weird routines. 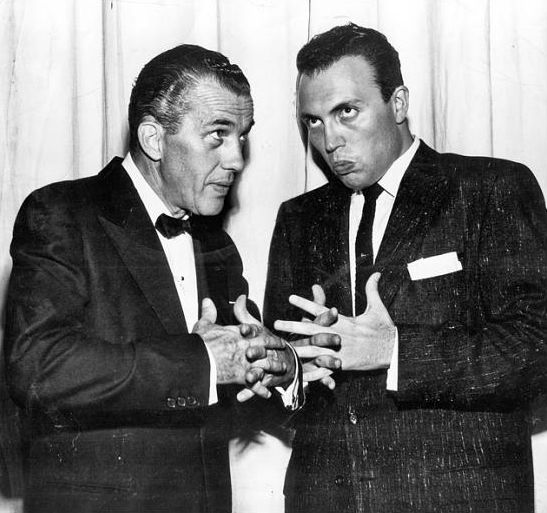 Jack E. Leonard getting a blood transfusion from Ed Sullivan and that kind of stuff. Endless, endless material, but it seemed to dry up. I can still come up with a funny line now and then, but that kind of stuff is gone. Part of the reason was the environment. If you put me in a room like Mel Brooks - You put Mel in the environment of Neil Simon... Doc Simon who I also knew when he started out... that man was extremely nice to me. Those people and of course Larry Gelbart and Woody... I have a feeling if I was in a room with those people, trying to compete, that would have got my juices going. The juices were originally created in front of show people. They were mostly written in a room full of friends. But comedians are the one type of performer that can't really rehearse. You can't tell jokes to the mirror. Will Jordan: I do have to tell you that many of my opinions... My friend Milt who did many of the same shows... Milt is eighty-eight and I'm a little bit younger than that... Milt's opinion of people like Merv Griffin and Robert Q. Lewis and Arthur Godfrey are not the same as mine. If you speak to someone with similar experiences, you will get different opinions. 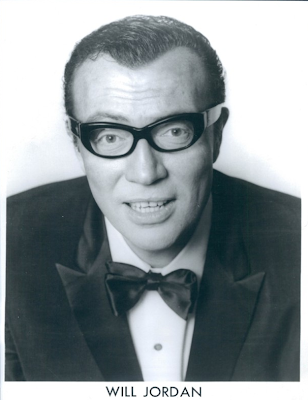 I have to always preface it with "In my opinion..." Milt did not get along with Steve Allen's wife. 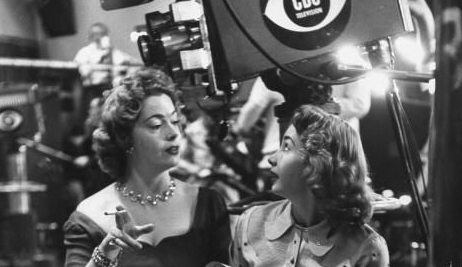 I love Jayne Meadows! I think she is a doll! For some reason he ran into trouble. Milt has probably done more than I have done, but maybe not perceived as prestigious. I'll give you his number. He's very hard of hearing, but I don't think you'll notice it on the phone. He's a nice guy, but he kind of drifts back into the past and he has this habit of telling the same joke a hundred times. He must tell you that he hates candles and that Larry Storch was a wino. For some reason he feels the necessity to repeat that a hundred times. But what about the Fred Allen show?! 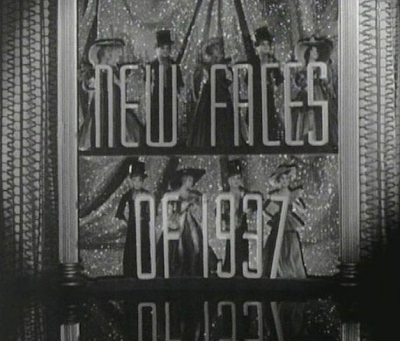 Predating "New Faces of 1937" was the original story for the Marx Bros "A Night at the Opera", written before MGM hired Kaufman and Ryskind or Al Boasberg. It was a tale about a Broadway producer intentionally raising too much money in hopes of making a flop, intending to flee with the cash, but it of course becomes a surprise hit. This idea was discarded by Irving Thalberg and never made by the Marxes. The meme had been around a long time before Brooks won the Oscar for Best Screenplay Written Directly for the Screen in the late 1960's with his take on it. Well, now we will never know about Fred Allen. And I don't blame you a bit for it. And who the hell was Milt? What do you mean "...now we will never know about Fred Allen." I think there are at least a couple more instalments to come in the Will Jordan interview. And as for his friend Milt, Will mentions him at the start of Part One.